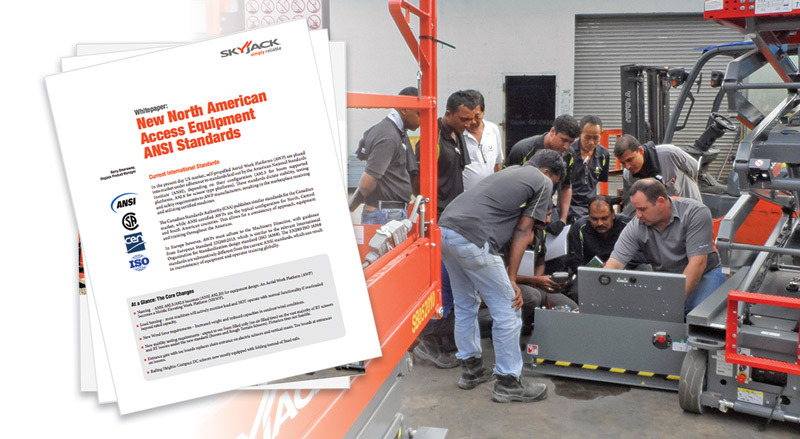 May 8, 2017; Guelph, Ontario – Linamar Corporation’s (TSX-LNR) Skyjack division has released a white paper detailing the major changes to the new access equipment standards in North America. New railing heights and platform entrances. The white paper is available for download at Skyjack’s website: skyjack.com/ANSI-whitepaper. The ANSI standards dictate stability, testing and safety requirements to access equipment manufacturers to ensure the marketplace receives and uses certified machines. The similarity with Canadian CSA standards allows for a consistency of approach, equipment and training throughout the Americas.